Is Sailor Chibi Moon Too Sexualized? 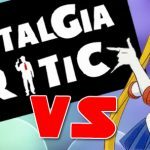 When I tell other Moonies I run a feminist Sailor Moon website, often times the very next question is: “What are your thoughts about the sexualization of Sailor Chibi Moon?” At first, I was taken aback. I never thought of Chibi Moon as particularly sexualized. I ask what they mean and they tell me, “Well, she has breasts in the manga.” Meaning, Chibiusa is too young to have breasts. I don’t think Chibiusa is too young to have breasts. And that’s not just a personal opinion; there’s an reason within the story itself as to why Chibiusa/Sailor Chibi Moon is drawn with breasts–and it’s a reason that might not be obvious to Westerners. For fans of the 90s anime, Chibiusa is the young daughter of Neo Queen Serenity and King Endymion who goes back in time to try to save the 3oth century. After returning to Crystal Tokyo at the end of the second season, she returns to the 20th century in Sailor Moon S, now with the ability to transform into Sailor Chibi Moon. However, Chibiusa’s story is quite different in the manga and in Sailor Moon Crystal. 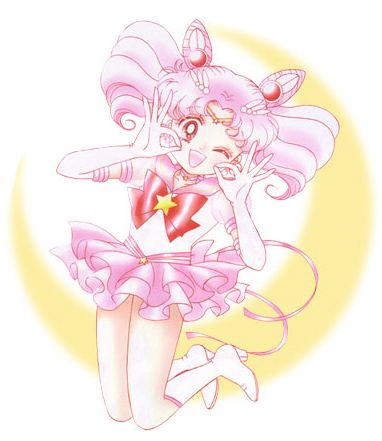 In these versions, Chibiusa isn’t a normal child–she mysteriously stopped growing and is currently 900 years old. Moreover, she doesn’t hold any power. She can’t wield the Silver Crystal and she can’t transform into a sailor guardian. During the climax of this season, Sailor Pluto dies after stopping time. 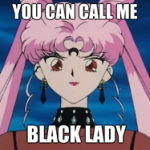 Chibiusa, now Black Lady, weeps over her dead friend’s body, producing a tear that transforms into the Silver Crystal and transforming Chibiusa into Sailor Chibi Moon. 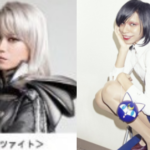 Here, we have a hint that transforming into a sailor guardian means more than just transforming into a superhero. You may know the full Japanese title of Sailor Moon is Bishojo Senshi Sailor Moon. The word shojo is often translated into english as girl, but the word has another more precise meaning. A shojo is a girl who has entered puberty, but has not married yet. So, here we have character who is 900 years old who hasn’t entered puberty nor can she transform into a sailor guardian. Could Chibiusa’s transformation into a sailor guardian be a metaphor for entering puberty? For me, the evidence isn’t just in Chibiusa’s character arc, but also in what we learn about the future Sailor Moon. In episode 83 of the 90s anime, we learn that once Usagi became Neo Queen Serenity, she no longer could transform into Sailor Moon. (As a kid, this greatly upset me! 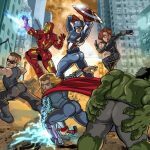 Can you imagine–your favorite superhero no longer able to be that superhero?!?) We know that Usagi assumed the throne at the age of 22, just after getting married and giving birth to Chibiusa. In other words, when Usagi becomes Neo Queen Serenity, she is no longer a shojo. Hence, she can no longer be Bishojo Senshi Sailor Moon. 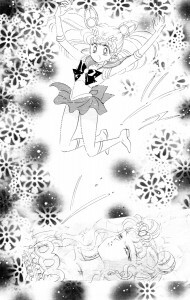 So, why is Chibiusa drawn with breasts in the manga? Because after her transformation, she has finally entered puberty and has begun to develop breasts. The development of breasts is a normal part of puberty. In fact, breast development can occur in children as young as 8 years old. The current average age of menarche (first menstrual cycle) in the United States is 12 years old and breast development begins a few years prior. There’s no need to worry that the appearance of breasts are needlessly sexualizing Chibiusa. Breast development is a part of growing up. The sexualization of breasts is more dependent on how they are drawn rather their existence in and of themselves. One of my favorite images of Chibiusa and Hotaru, looking very stylish. Wow! I never would have thought about the symbolism of being a Senshi in this way before….but now that you have pointed it out…. I can’t unsee this. Your analysis is spot on. I just love how this can even further deepen my appreciation for Sailor Moon and all its symbolism (as if it could get any more intense). This was well though out! Thank you for this. thanks so much for this post. it was really interesting. it really interesting when people say it’s disgusting that chibiusa in drawn with breasts because i was one of the girls who started to develope very early so i looked like chibiusa as a kid (minus the bright pink hair lol). next time i see someone complaining about this i’ll definately send them here! What I find weird is that people talk about “oversexualization”, as if the character was real and not an author’s imagination. 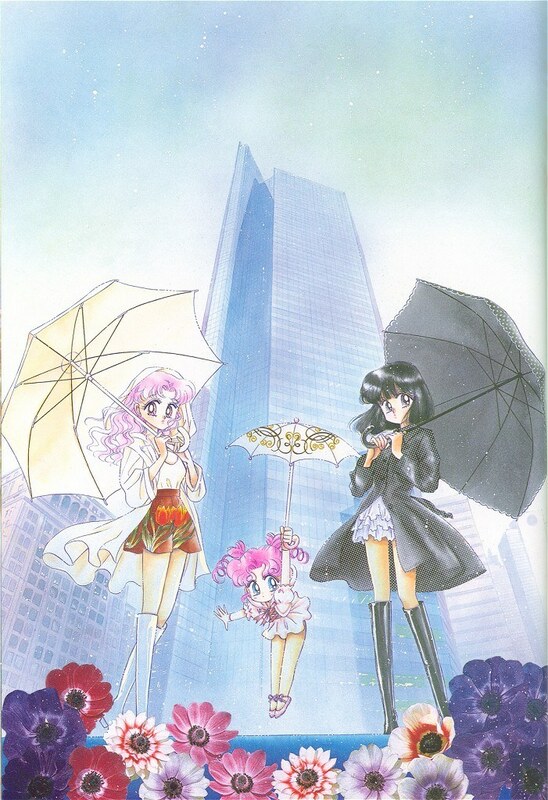 Chibiusa does grow, it doesn’t become apparent though because it’s very subtle, Takeuchi is a genius mangaka, it’s logical that her drawing skills are this amazing. 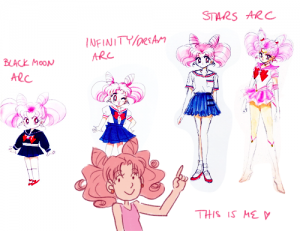 Yet, she CREATED Chibiusa. She is her author and creator, and thus “oversexualitzation” isn’t a term that can be used for this type of thing. It makes much more sense to use it when refering to real kids because, well, it’s real kids we are talking about. But what if the character was created that way? It can’t be called like this. Sure, these are not real people, but it has been shown in various studies that kids like to read and consume media that looks like them. So, how people and kids are portrayed in media whether they are real or not, have real-world implications. 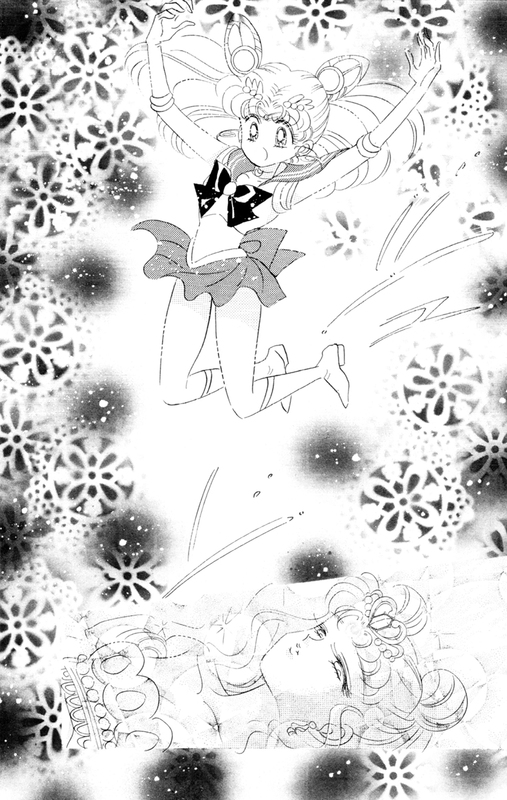 Next post: Shojo Power! 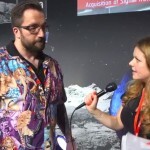 on Transformation Sequence Podcast!